Check out the whole video of our last event with NYU professor Joan Bruna, assistant professor of the Courant Institute (NYU). Joan shows us some important applications of Deep Learning and which are the next challenges of this hot field. We are pleased to anounce our next event and the first in our series: Machine Learning Series II. It is a great honour to have in our panel Joan Bruna, Assistant Professor at Courant Institute, NYU, in the Department of Computer Science. Joan Bruna will share the learnings and insights of applying various machine learning techniques to a number of different use cases throughout his career, such as image or real-time video recognition, among others. The conference will combine an initial master class and a debate with the audience. Bio. Joan Bruna is an Assistant Professor at Courant Institute, NYU, in the Department of Computer Science, Department of Mathematics (affiliated) and the Center for Data Science, since Fall 2016. He is currently on leave from UC Berkeley (Statistics Department). His research interests touch several areas of Machine Learning, Signal Processing and High-Dimensional Statistics. In particular, in the past few years he has been working on Deep Convolutional Networks, studying some of its theoretical properties and applications to several Computer Vision tasks. Before that, he worked at FAIR (Facebook AI Research) in New York, working on Unsupervised Learning. Prior to that, he was a postdoctoral researcher at Courant Institute, NYU, under the supervision of Prof. Yann Lecun. Joan completed his PhD in 2013 at Ecole Polytechnique, France, under the supervision of Prof. Stephane Mallat. Before his PhD he was a Research Engineer at a semi-conductor company, developing real-time video processing algorithms. Even before that, he did a MSc at Ecole Normale Superieure de Cachan in Applied Mathematics (MVA) and his undergrad at UPC (Universitat Politècnica de Catalunya, Barcelona) in both Mathematics and Telecommunication Engineering. 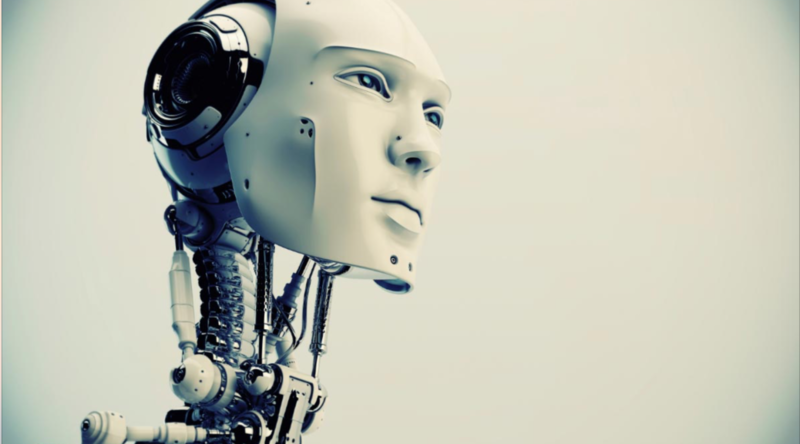 We are pleased to anounce our next event and the first in our series: Machine Learning Series I. In this talk we will know from 2 industry leaders how they are applying machine learning techniques to produce business results. Alexandros Katzoglou is Scientific Director of Telefonica Research in Barcelona, Spain working on Machine Learning, Deep Learning, Recommender Systems, Information Retrieval. His team includes researchers in the areas of HCI, Networks and Systems. We are creating Machine Learning algorithms for customer data and data generated by Network operations. He received his PhD from the Vienna University of Technology and was a visiting fellow at the Statistical Machine Learning group at NICTA/ANU in Canberra, Australia. He frequently teaches Machine Learning courses at the UPF/GSE with some R, Python, Statistics, Recommender Systems and Deep Learning. 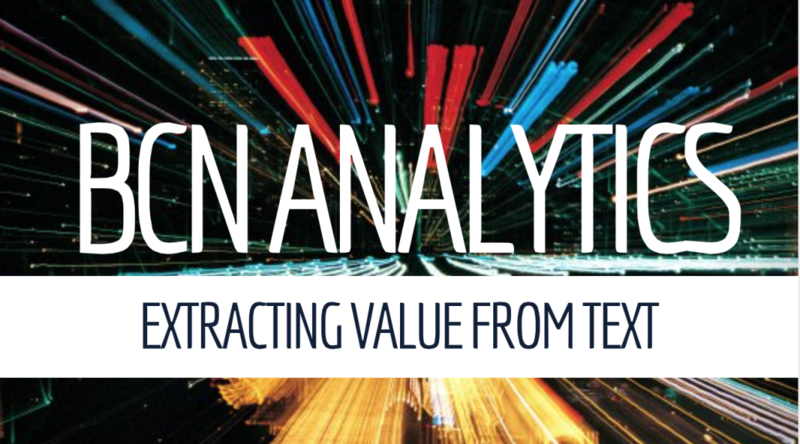 We are pleased to anounce our next event: Extracting value from text. In this talk we will know from 3 industry leaders how they are using advanced text mining techniques to create value from unestructured data. It is a great honour to have in our panel Hugo Zaragoza, CEO at Websays, RJ Friedlander, CEO at ReviewPro and Alberto Robles, CEO at Expert Systems Iberia. Hugo Zaragoza is the founding CEO at Websays, a start-up pioneering online opinion analytics. His research is at the frontier of machine learning and information retrieval, always pushing the boundaries of search engines and text mining technologies. Before Websays he worked in industrial research for over 10 years both at Yahoo! Research, where he led the Natural Language Retrieval group, and Microsoft Research, where he helped create the MSN Search engine (now Bing). He is the author of 20 patents and more than 50 articles in renown international conferences (such as WWW or SIGIR). RJ Friedlander is the founding CEO at Review Pro, a leading provider in Guest Intelligence solutions to independent hotel brands worldwide, which includes both the Online Reputation Management and the Guest Survey Solution modules. The solution uses advanced text mining techniques to enable hoteliers to obtain deeper insight into operational and service strengths and weaknesses, increasing guest satisfaction, ranking on review sites and OTAs, and driving revenue. More than 17 years experience in Internet and technology in Europe, the US and Asia. Expertise both as an operating executive and entrepreneur. Led projects that have generated more than $300 million in revenue. Nearly 10 years as a senior executive in one of Spain’s largest media companies most recently overseeing the business unit that included the group’s digital media and eCommerce companies. Alberto Robles is the CEO of Expert System Iberia and former Director of ICM (Intelligent Content Management) from iSOCO, a company acquired by Expert System in 2014. With a long professional experience in the technology sector, during his experience in Tecsidel contributed to the creation of a spin-off focused on the application of digital certificates in public administration, the launch of its division in Latin America and the creation of an independent business unit. At ICONUS (Comsa Emte Group company), his work helped increase profits and obtain better business efficiency ratios. Alberto holds a degree in Computer Engineering from the Polytechnic University of Catalonia (UPC). Check out the whole video of our last event, “How to build the data organization”. We hope you enjoy it as much as we did.